Makore, baku, abaku, agamokwe, douka, dumori. Trees grow to heights of 180 to 200 feet with trunk diameters of 4 to 10 feet. Average weight is 39 pounds per cubic foot with a specific gravity of 0.62. Wood has a high silica content, which can cause blunting. Wood dries at a slow-to-moderate rate. Experts suggest slow, careful seasoning, or drying, to prevent problems. A kiln schedule of T10-D4S for 4/4 stock and T8-D3S for 8/4 stock is recommended. There is small movement in service. The material works well with both hand and power tools. The material finishes and takes screws and nails well. It has good gluing properties. The heartwood is very durable and extremely resistant to preservative treatments. Makore (Tieghemella heckelii) yields a beautifully grained and sometimes highly figured wood from trees that grow in Nigeria, Sierra Leone, the Ivory Coast, Ghana and Liberia. A closely related species, Tieghemella africana, grows in the same area and yields a wood that goes by the commercial name douka. 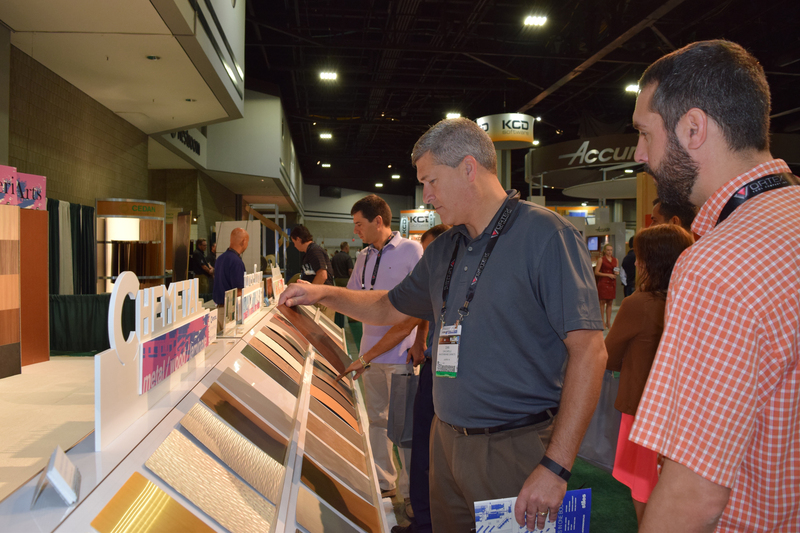 Cam Gantz, sales manager for Interwood Forest Products Inc., in Shelbyville, KY, said his company, a subsidiary of Fritz Kohl Veneer Mill in Germany, sells figured and plain makore veneer. "Approximately 80 percent of our clients ask for (black mottled) figure when asking for makore." Gantz says other makore figures include pommele, moire, crotch, blister, flame, stripe and fiddleback. "Fiddleback is the second most popular makore figure we sell. Itâs similar to the fiddleback figure in anigre." Charles Stem, president of The Wood Gallery in Floyd Knobs, IN, says most people are interested in figured makore. "The block mottled figure is the most readily available of the figures, but makore, like mahogany, yields almost everything in the way of figures, from broken stripes to ropey to fiddleback, which can be highly figured and rare," he says. The wood ranges from light, pink-red to deep red or reddish brown. 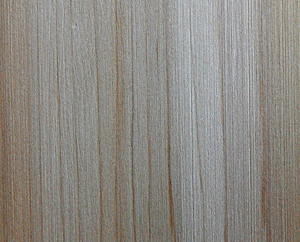 The sapwood is clearly demarcated and is much lighter in color. Stem says makorÃÂ© is sold around the world as lumber (wide leaves and boards) and veneer. The wood is said to have a good consistency. The Wood Gallery manufactures custom architectural and cabinet wood paneling using exotic and domestic veneer. "Architects especially like that makore is available in long lengths (up to 14 feet) and wide widths. When they hear they can get it in 5 foot. by 12 foot. panels, they are very pleased," Stem says. "Itâs not unusual to find makore logs that yield 35,000 to 75,000 square feet of veneer." Furniture designer/woodworker Pradeep Shimpi, owner of Chicago-based Shiani Furniture, uses figured makore veneer in his Milano line that includes beds, nightstands, dressers, an armoire and a buffet. He features mottle figured makore veneer on the doors and drawer fronts, with black walnut top and sides. "The dark wood makes the makore stand out. For my Milano pieces, I clipped out matching veneer pieces for the drawer fronts. I like the way the repeat pattern looks; it gives an almost billowy, cloud-like look. The first time I used makore I made it too dark by putting on a stain. Now I clear coat it and go with the natural color. Makore is a very luminescent wood and easy to work." Makore is also used in cabinetry, high-end joinery, interior fittings, laboratory benches, flooring and turnery. It can be used in boatbuilding and marine plywood. Bill Hergenroeder, a Baltimore, MD furnituremaker specializing in marquetry furniture, has used figured makore veneer in many of his designs. Hergenroeder finds with some figured makore, the veneer has to be treated differently. "If the material has a curly figure, the moisture in the glue seems to want to make it wrinkle unless I clamp it fairly quickly and then leave it in the vacuum press longer. " Makore may stain blue if the material comes in contact with iron when damp. Woodworkers also need to be aware that the woodâs fine dust can cause dermatitis and irritate nasal passages and airways. The wood should be cut from the log when hot. "Almost all woods have to be cut hot," says Stem, so the logs or flitches, which are sections of logs, are cooked in hot water for approximately three days. "Each species has a different recipe for âcookingâ and one of the prized secrets of veneer mills is the ârecipeâ book." Jo-Ann Kaiser has been covering the woodworking industry for 31+ years. She is a contributing editor for the Woodworking Network and has been writing the Wood of the Month column since its inception in 1986.